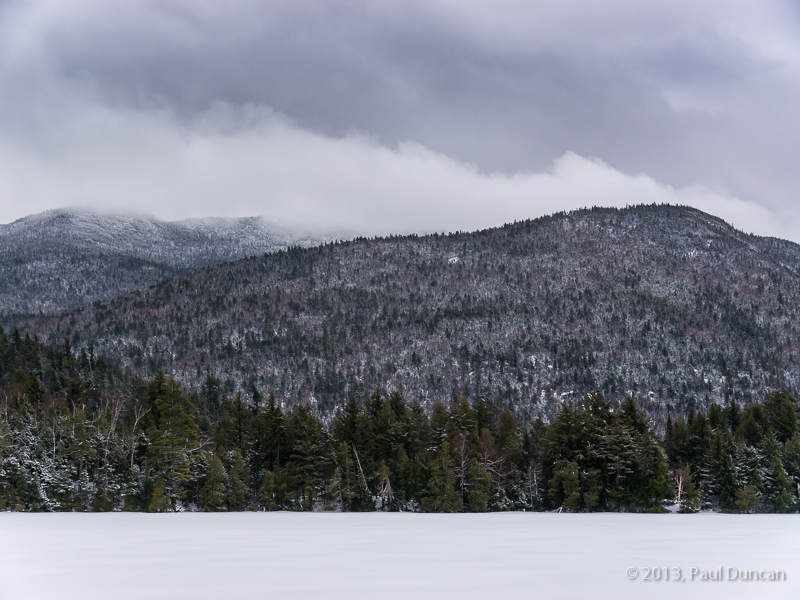 We made a quick visit to the Adirondacks March 18-20, primarily to visit my mother in Wilmington. We always work in a little quality outdoors time and for this visit we were treated to a fresh heavy snowfall to decorate what would otherwise have been a dreary gray landscape. 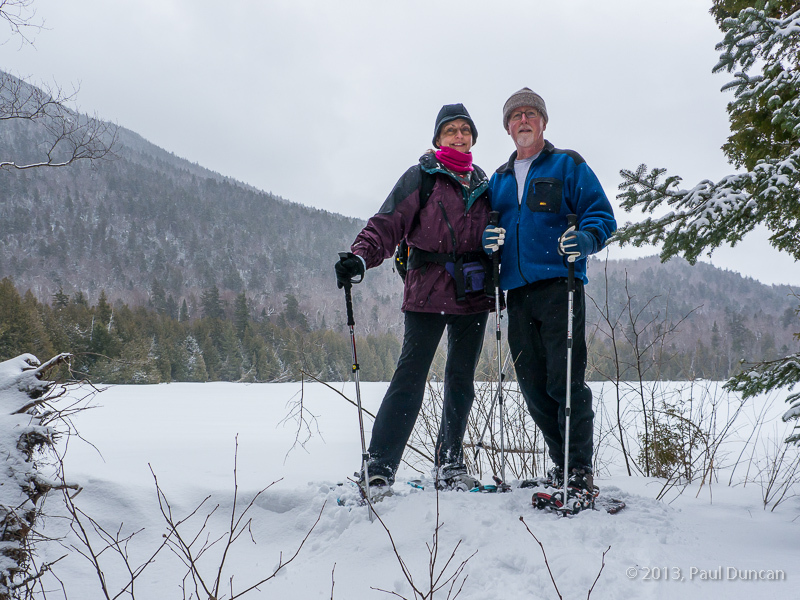 Among our adventures, we snow-shoed in Wilmington Notch along the lovely Owen/Copperas/Winch Ponds trail. We paused along the northeast end of Owen Pond to shoot a rare picture of us together with the frozen pond in the background. 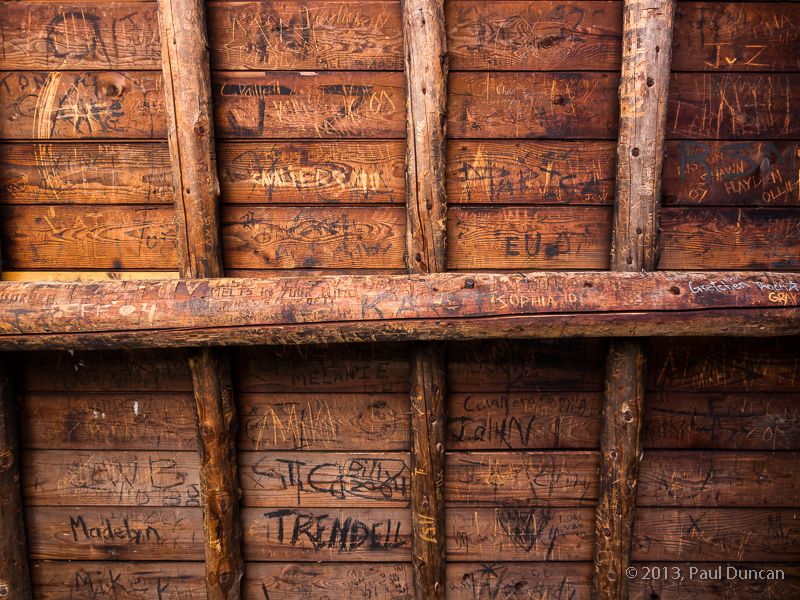 From there we headed off to Copperas Pond to enjoy the view from the lean-to at the north end.